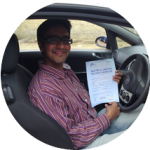 I enjoyed having lessons with Cambridge Driving School. Richard made me feel calm and relaxed which really helped to boost my confidence. I’m currently looking for another job so being able to drive is a great help. It took me two attempts to pass my theory test but passed my driving test first time. Enjoyed learning with this school and have recommended them to my friends. I had lessons originally with a well known school but the instructor spent most of the time reading to me about how to drive. I found it a little frustrating as I wanted to get stuck in. Richard at Cambridge Driving School allowed me much more time driving the car. I made progress a lot faster. I the lessons relaxed and had quite a laugh. I actually passed first time. Really good driving school. Thanks very much. 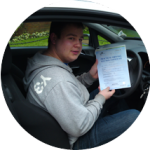 I start with Cambridge Driving School in October and took my driving test just before Christmas. Unfortunately I failed my first attempt but a few weeks later I tried again and passed. 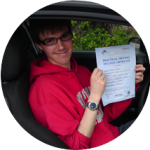 Jay was very patient and friendly throughout the lessons and have recommended Cambridge Driving School to my friends. I wanted a female instructor and found Chrissy great. Clear and easy to understand instructions. I was with a well known national driving school before I joined this school but found them to be a little harsh and less helpful. I used to keep getting the clutch and the gears in a muddle and with my last school I didn’t seem to make an awful lot of progress. Chrissy however seems to have a technique for everything and it was soon sorted. Great school. Really glad I went with you guys. Thanks! Originally from India, I found driving in England quite different. I needed to pass my UK driving test so called Cambridge Driving School who aided me to test standard. I found them very nice and polite and not as expensive as some other schools I looked at. I only had 10 hours of lessons and passed my test. Thanks you Cambridge Driving School. I had lessons with Richard and passed first time. Found it easy to pick up the skills and Richard made me feel very relaxed and confident at the wheel. Would highly recommend. A very special thanks to Richard (my instructor) from Cambridge Driving School for showing his EXTREME LEVEL OF PATIENCE, giving me FREEDOM and RESPECT which enormously helped me to pass my test. I found Richard to be extremely friendly and relaxed all the time. 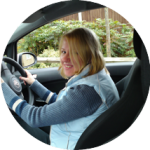 I felt very comfortable to discuss driving issues with him and all this helped improve my driving skills. 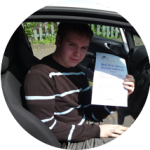 From my first hand experience I can say that Cambridge Driving School provides much more value for money compared to others especially the so-called reputed driving schools and has best instructors. Therefore, I will highly recommend Cambridge Driving School to everyone.